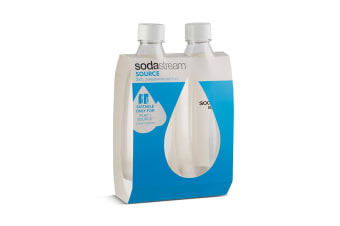 Designed to withstand the continual pressure of carbonation, SodaStream Carbonating Bottles feature a hermetic sealing lid to keep your sparkling drinks fizzy for longer. Each bottle has a lifespan of 3 years and is BPA-free. Suitable ONLY for Source, Play and Power Sparkling Water Makers.